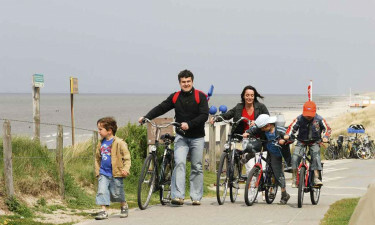 A short walk from seaside resort town of Domburg is this well-equipped luxury camping destination. Situated on the shores of the North Sea, Hof Domburg offers a five-star camping holiday experience with modern facilities and fun activities. With a fine beach steps away and a luxurious spa and pool area, you will have a remarkable stay at this luxury camping site. 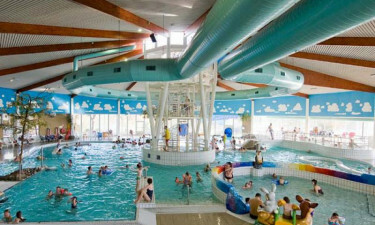 Hof Domburg is also close to exciting attractions, including a water park, go-karting and an indoor ski centre. Book your stay today with LuxCamp! Hof Domburg is only 500 metres from a pristine beach overlooking the North Sea. The beautiful Blue Flag beach is one of the cleanest and safest in the Netherlands. 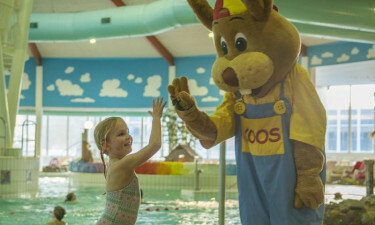 This fantastic camping holiday site has an outdoor pool as well as a kids’ pool for the entire family to cool down and play. You can also unwind at a wellness and beauty centre with relaxing saunas and hot tubs plus refreshing spa treatments.